As much as we try to protect them, our kids worry. Here are some tips on helping kids cope with the life’s big issues. I have a child who worries. She worries plenty about what, to an adult, might appear to be little things but she also spends plenty of time dwelling on bigger ‘adult’ issues too. It breaks my heart on a daily basis that she worries so much. Children are often dealing with, or worried by, issues that we might consider adult problems, and our job – as parents and teachers – is to help them learn to live with the feelings and emotions they are experiencing. This post discusses five common ‘adult’ issues that kids are often concerned by, with some tips for guiding them through each of these big worries. Children don’t have much to worry about. I mean, they’re kids – what about their lives can possibly be so stressful? They don’t have to pay any bills. Or deal with people at work. They don’t have jobs that they hate. They usually don’t even have to worry about what they wear or what they eat if they don’t want to! However, just because kids don’t have the same life stressors as adults, doesn’t mean that they don’t have things that worry them. Your child might worry about school – both academically and socially. They might worry about whether they fit in. They might worry about their performance in extracurricular activities. They might worry about having the ‘right’ clothes and shoes. They might worry about things going on in their family or with a friend’s family. They might worry about their relationships. They might worry about their future. And, as we see when we watch shows like 13 Reasons Why, they may also be worried about other very serious issues that we are not even aware of. We may not get to see everything that goes on in our children’s lives. Or in their minds. But we can pay attention. We can get involved. We can ask questions. We can listen. One simple step is to just check in with our kids regularly. Especially when we notice that they seem anxious or upset – “Hey, you seem anxious/down/worried. Is there anything that you want or need to get off your chest?” is one way to open up a line of dialogue. If they seem hesitant to talk, remind them that you’re here for them and that you won’t judge them or get angry. Alternatively, you can let them know that you can take them to speak to someone that they may feel more comfortable talking to. Either way, encourage them to open up and let you into their world. Sometimes, just talking to someone about the things that make us anxious can help us gain a more healthy perspective and figure out what to do to get back on solid ground. We all have bad days, right? And even sometimes bad weeks! But children can also suffer with depression. I know, it’s scary to think of your child as being depressed. Maybe it doesn’t even seem possible given their age. However, if there is one thing we know about depression, it’s that it doesn’t discriminate. Rich or poor; black or white; gay or straight; young or old – depression affects people from all walks of life. And emerging research indicates that children as young as 3 years old can live with depression. If you notice symptoms that have been present for two weeks, it’s recommended that you schedule an appointment with your child’s primary caregiver, and consider a mental health consultation. Treatment for depression can include psychotherapy, as well as medication. “He’s been having temper tantrums lately, but it’s just a phase”. Most of us have experienced our kids going through a ‘difficult’ phase. The terrible twos. The tween years. We’ve endure temper tantrums, screaming matches, and declarations of “I hate you!” or “You don’t love me!” But what if your child always seems to be struggling with anger? At what point do you stop writing it off as a phase and begin wondering what is really at the root of their anger or aggression? Again, being tuned into your child and available for honest and open communication is so important. Take some time – once everyone has calmed down – to talk with your child about their anger. Ask about what’s going on in their life. If there’s anything stressing them out or making them feel negative. Ask if they feel angry or upset about anything in particular, and what you can do to help with that. Talk to them about times that you’ve felt really angry and what you did to cope with those feelings. Help them to develop a calm down plan for coping when their angry feelings feel out of control. And when your child is in the midst of an angry outburst, try to stay calm yourself, accept their feelings without judgment and try to help them learn to manage to deal with whatever it was that set them off. Another thing that we all want so desperately to protect our children from is loss. The crazy thing about loss is that it doesn’t always look the same. When we think about loss, we mostly think about losing a loved ones when they pass away. While death is certainly one form of loss, it is not the only one. Children can be thrown be the loss of a friendship. Or the loss of an activity they enjoyed. It might be a loss of stability or the loss of a parent in the home due to divorce. Loss might be felt when a child changes school or moves to a new home. All of these can include difficult transitions that cause a child to grieve. 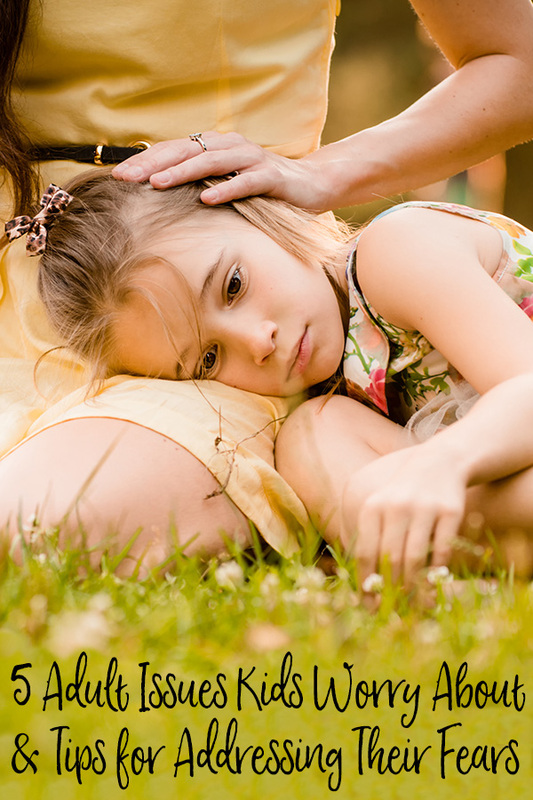 The first step toward helping your child heal following a loss is to recognise it. Listen to your child. Observe their body language and facial expressions for clues that there is more that they would like to say but aren’t. Ensure them that they are safe and that you will listen without judgment. When we’re young, we tend to believe that we are invincible and that we’ll live forever. But there comes a point in all of our lives when we learn that death is a part of life. This realisation can be scary, even for adults, so for kids it can be even more difficult to come to terms with. They may become obsessed with the fear of death, especially following the death of someone they know or on hearing news of a traumatic event, and begin worrying about when it will happen not only to them, but to their loved ones. Have a real conversation: Let your child talk about their fear of death. Listen to what they say and take the time to respond as necessary. You might genuinely be surprised by what they vocalize when given the opportunity. Absolve them of any responsibility: When talking to your child about death in the context of a recent loss, you may learn that they feel some type of personal responsibility. Perhaps they feel like if they’d done something differently that the person would be alive right now. That guilt is too much for any person, let alone a child, to bear. Assure them that they are not to blame. That death is a natural part of life and that even though it hurts, it’s not our fault when someone we love moves on to what is next. Create a ritual to honor death: Just as we have rituals to celebrate and honour holidays, it may be helpful to have one that honours the death of a loved one. Funerals are one common way for loved ones to gather together to celebrate the life of a loved one and to say our final goodbyes. However, it can also be a good idea to have another, more intimate ritual with just your family. One that focuses on life and happy memories shared. Create a family bucket list: If there is one positive thing that our own mortality reminds us of, it is that there are so many things we want to accomplish in life. Sitting down with your family to write a bucket list of things that you want to see, do, and try during your life is such a great thing to do together. Then get out there and start checking things off the list, making the most of life together as a family! Read books about death: There are plenty of books that can help your child process the idea of death- especially fiction books. One classic novel that comes to mind immediately is Charlotte’s Web by E.B. White. It’s a great example of several facts. One, that we all die. Two, that while we are living, we make an impact on the lives of others. Third, that it is very sad when loved ones die, but they live on in our hearts and minds forever. You can also check out this Goodreads list that is filled with children’s books that discuss death and dying. Of course, at any time if you feel that your child is really struggling with loss or a fear of death, talk to their primary care provider or a mental health professional for further advice. We try to so hard to protect our children from the world but we simply cannot be everywhere with them, all of the time, so taking the time to delve a little deeper into how they are feeling and the reasons behind their worries and concerns is so important to helping them through these anxious times. 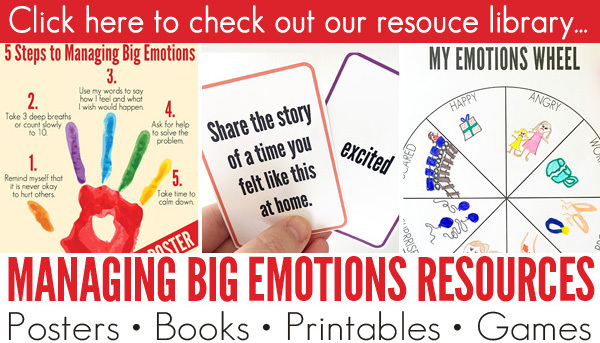 For more helpful resources for helping children learn about big emotions, check out our Managing Feelings and Emotions Resource Library.